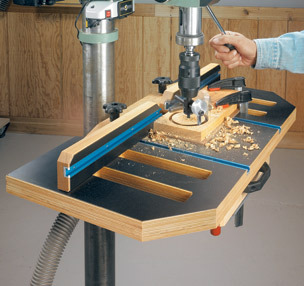 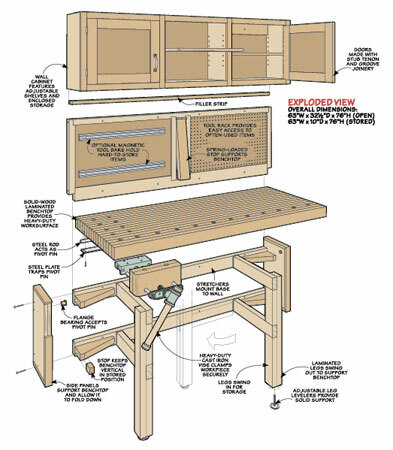 A solid wood, laminated benchtop and swing-out legs form the heart of the workbench. 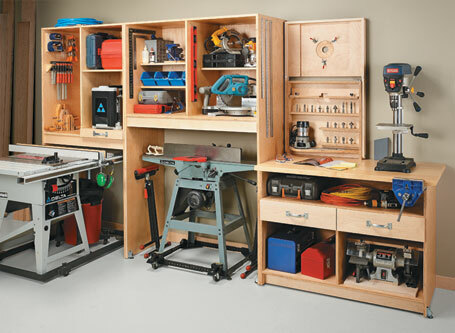 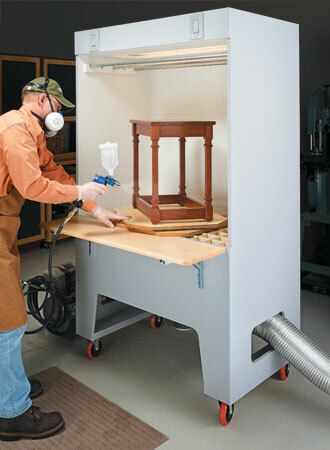 Wall-mounted tool rack and storage cabinets keep your tools organized and within easy reach from the bench. 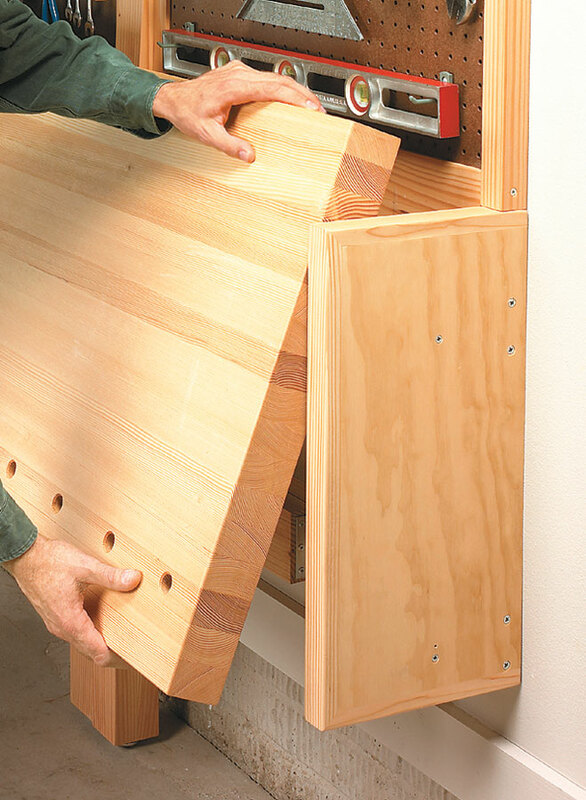 A bolt-on cast iron vise adds clamping capability to the workbench, and a set of dog holes in the top offer even more clamping options. 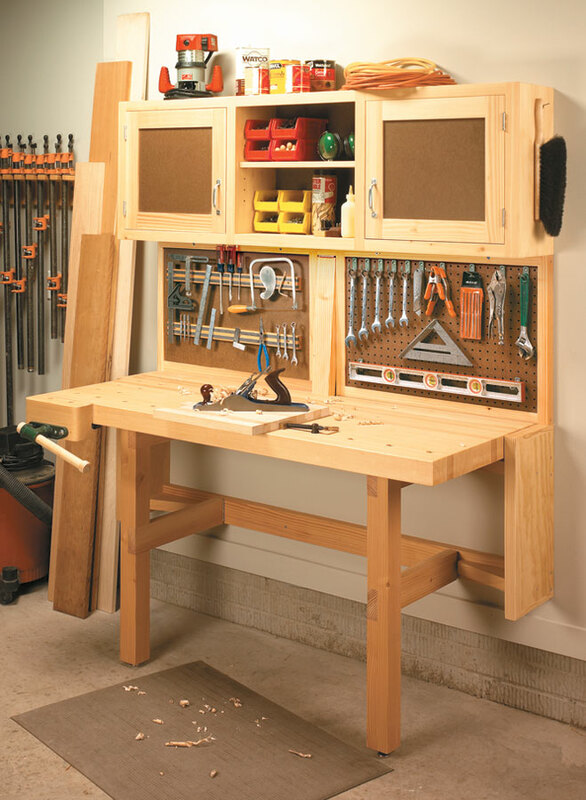 It's a solid, versatile tool, and with the top folded down, the workbench takes up very little space in your garage or shop. 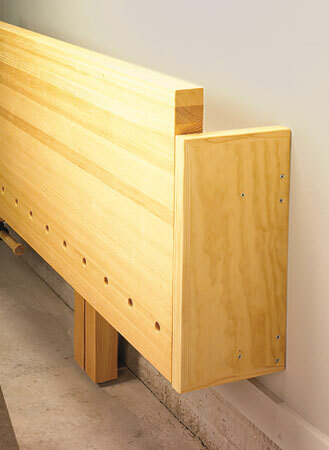 Plans for an alternate top made of three layers of plywood with a hardboard work surface are included.